Anyone familiar with Daughter’s previous work will know it really should come with a warning: if you’re in even the slightest emotional distress, you’ll be needing far more than just a few tissues. ‘Not To Disappear’, the band’s second album, is no different. Just as before, lead singer and songwriter Elena Tonra deals heavily in heartbreak, with almost matter of fact lyrics that are loaded with feeling, as if she’s pulling a trigger and aiming straight at the heart. Where debut album ‘If You Leave’ was often wrought from delicate elegiac poetry, here thoughts and feelings are candid, brutally honest and bittersweet. Alone/With You, with its mirrored structure, is a keen example. “I hate walking alone, I should get a dog or something” Tonra sings with despondency, as if something so trivial could somehow solve all her problems. Trying to pick out specific lines is a futile task when across the album the songs are littered with frequently painful examples, but the crescendo towards the repeated “I hate feeling alone” at the end of this particular track, the vocals almost drowned out by surging guitars and throbbing synths, is one of the most visceral emotional releases the album offers. Loneliness doesn’t just stem from heartbreak, though. On this album, the spectrum has been widened. Doing The Right Thing, for instance, explores the impact of dementia: “then I’ll lose my children, then I’ll lose my love”, the image of life draining away rife in every syllable before the song climaxes with “I’ll call out in the night for my mother, but she isn’t coming back for me ‘cause she’s already gone”. The sombre Mothers focuses on the burden of motherhood: “I’ll stay here, the provider of that constant sting they call love”; whilst on No Care, things take an aggressive turn as Tonra repeatedly spits out “no care, no care in the world”, as if the preceding songs’ emotions have finally become too much to bear. None of this would matter without Tonra’s vocal delivery: hushed, whispered, delicate, yet tough and threatening when it needs to be. And where the band’s debut was characterised by liquid bowed guitars and evocative atmospherics, the unflinching lyrical content of ‘Not To Disappear’ demands a rougher, heavier sound that sits around the Radiohead, Alt-J, shoegaze end of the spectrum. It’s in the crying guitar lines of New Ways, the bending of riffs on How, the erupting patter of drums on No Care, and the urgency of Fossa as it builds towards its final admittance (“I feel alone”) and another instrumental release. Yet juxtaposed with this sound, it’s the quieter moments that often stand out. The pause in the middle of Doing The Right Thing. The gentle, childlike synths of Mothers. The haunting processed vocals in the chorale break of Made Of Stone. The way the accompaniment mercilessly drops out in Alone/With You at the bitter line “You and I were once friends, now you’re only an acquaintance”. 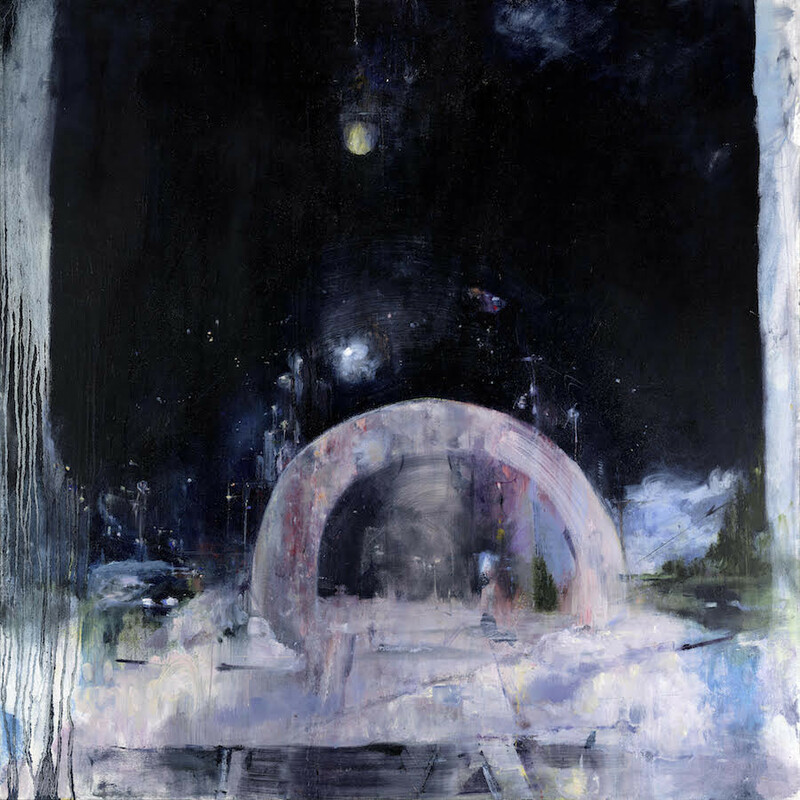 Daughter are simply masterful at delivering tear-stained songs drenched in melancholy, an emotion that relentlessly pervades all of their music. And with its icy melodies and cold sense of loneliness, there’s no better time than a January release. Listen: ‘Not To Disappear’ is out now.